Today’s post is about an issue that I wish didn’t need to be addressed. But it is a reality in homes around the world. And considering that many come to our blog for encouragement and solutions about life issues, I believe that part of our responsibility is to address matters that may not necessarily be pleasant to talk about. So today’s topic is about domestic violence and its impact on families. Several years ago when I lived in Houston, Texas, I recall watching an episode of the television show COPS. If you’re unfamiliar with the show, it’s one that features police officers carrying out their duties in real incidents as they occur. On that episode, the police were called to a home where two men had a physical altercation. As they got to the scene, they learned that one man had hit his girlfriend in the presence of their children. The woman called her brother and he came over to the home and got into a fight with the other man. Can you imagine the mindset that it takes to come to that conclusion? In other words, had the sister been married, it would’ve been just fine with her brother if she were beaten. I guess in his mind, that’s a privilege of marriage. So very sad. I strongly believe in the family structure. I also believe that children are a blessing to couples. 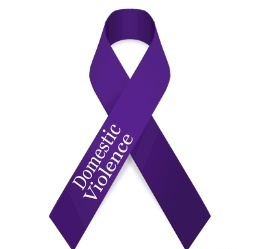 What concerns me greatly is that domestic violence is a way of life for many couples. Most often, it’s a man being violent but that’s not always necessarily so. I know of many cases of men being abusive. 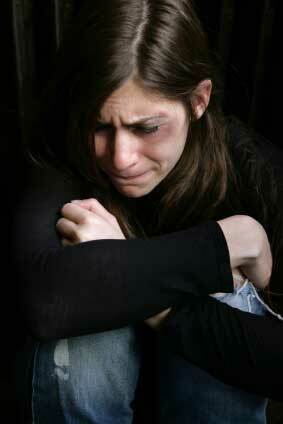 I also know of cases where women are abusive. And in other cases, both men and women are. This issue of domestic violence is so multi-dimensional. We have to consider what occurs in the home. We have to consider what occurs with kids. And we also need to consider the legal angle to it. I do not believe that people just wake up one day and decide to become violent. I have learned from a colleague who’s a family therapist that, more often than not, people who display those traits have been exposed to it for much of their lives. You may have heard it said that children live what they learn. How many times have you heard of someone who’s violent in the home and then you later learn that they grew up around that type of behavior? A family attorney who’s a colleague of mine told me that since the economic downturn, divorces have decreased significantly. But domestic violence cases have risen substantially. Isn’t that interesting? His conclusion is that the pressures of a bad economy are probably causing people to stay together when they probably ought to be apart. They can’t afford to divorce so instead they stay together and sometimes let their emotions get the better of them. The sad consequence in all of this is that the children who grow up around such behavior become affected emotionally. Anxiety and fearfulness are just some of the results of their experience. And if not adequately dealt with, these same children grow up and likely find themselves in abusive relationships. Boys become men who believe that being physically intimidating is a proper way to settle the normal disagreements that couples have. And women think that it’s normal for a man to act that way. And as I said earlier, women are at times violent with men. At our Upbeat Dad Community Forum 2 weeks ago, after the event I was speaking with a gentleman who told me that he got divorced 5 years ago. During the marriage, there were times that his wife would become so enraged that she would slap him in the face and kick him. He said that although he was tempted to retaliate, he knew that in doing so, once the police become involved, as a man, he’d be the one who goes to jail. So he typically just left the house. This whole area of life bothers me greatly. Let me share this with you. There’s nothing normal about being physically violent with anyone – particularly one with whom you’re in a relationship. My thought is that if things are that bad that you have to resort to violence, you should probably walk away. No one should drive you to the point where you lose self control to that degree. There are certain television programs and movies that I do not watch. I recall watching the movie What’s Love Got to do With It? – the Tina Turner story. When I saw the scenes where she was physically abused by her husband, I couldn’t look. I pressed mute and waited until that scene ended – checking periodically to ensure that it ended. I just don’t like the thought that people say, “I love you that’s why I have to beat you.” It just doesn’t make sense to me. The legal angle to this is also something that ought to be considered. A family attorney friend of mine told me that, particularly since the O.J. Simpson murder trial, judges tend to be more cautious than ever in dealing with domestic violence cases. So they grant restraining orders more quickly and easily – opting to err on the side of caution. If there is really domestic violence, someone could actually lose their life. That’s much worse than having an innocent person wrongly convicted of the act. Let me add here that an unfortunate consequence to all of this is that people use domestic violence accusations as part of their legal strategy in divorce cases. In the United States, it’s not out of the ordinary for restraining orders with false accusations of domestic violence to be filed by either party in order to get ahead in the legal process. It’s much easier to get the house and custody of the kids when you label the other party as a violent person. My thought on all of this is that it’s sad that people who once loved each other need to go to such measures just to win a court case. 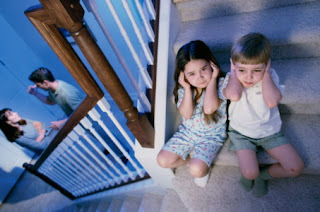 Particularly when there are children involved, the unintended consequences of such strategies can be really damaging. This entire blog post is one that’s not easy for me to write. I know it may be difficult for some of you to read. 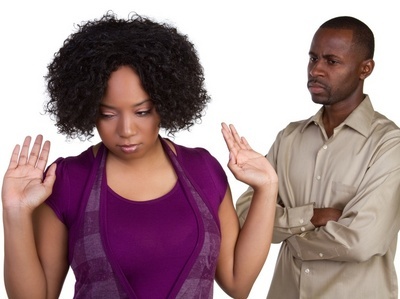 It’s not out of the ordinary to think that someone reading this may be presently in an abusive relationship. We’re living in a real world and real people are dealing with these issues. If you find yourself in an abusive relationship at this point, I encourage you to get help. If you’re a victim, please get help. If you’re the abuser, please get help. Particularly when there are kids in the picture, there’s nothing good that comes out of these situations. Perhaps counselors or family therapists need to be involved. Perhaps law enforcement needs to be involved. Whatever the situation may be, please get help. This blog post was a sobering one, I know; but also a necessary one in my view. I always try to be positive in all my writings. And it’s no different here. If nothing else, I hope that what you've read here has brought some level of awareness to this issue. And I hope that it will be a catalyst for positive change in our homes. No one deserves to live in an environment where violence is a way of life. Far too many people are in such a plight. Please share this post with others who you believe would benefit from the message. My intent is that, as with all our other writings, this would be an agent for change. In my view, it's good to look at such a difficult subject as domestic violence and yet draw something positive from what is an inherently negative topic. That's our goal as an organization. We try to encourage each person to do the best thing for their families and for themselves in all circumstances. Thanks for reading and do enjoy your day. Rodrick, you took the bull by the horns and tamed him. This is usually considered a negative subject, but you used your positive mantra all over it. How can the information not be received in a positively uplifting and informative way? Thank you for considering there may be fragile souls, impacted by DV reading your words. Also it is great that you called for action...GET HELP! Very necessary, for abusers, abuse victims, survivors of DV, and the people who support them, if the cycle of domestic violence is to stop. Rodrick, thanks for this post. It happens in every culture, socieconomic level and ethnic group. It happens in Christian homes and non-Christian homes, Muslim and Jewish homes and athiest homes. No one group is immune from its devastating effects. So I agree with you in saying reach out and get help, whether you are being abused or being abusive, if for no other reason than the children deserve better. You can find us at www.ccada.org for more information and help. And at www.lifeabundantlyfree.org for a positive view of life. Great post about a very important topic. Thank you for stating the fact that this isn't a gender-specific problem. The sooner we (society) can recognize violence (all forms of violence) as an act of weakness, the sooner we can all move past the effects. Thank you for addressing this issue Rodrick. I hope that our young people have the opportunity to read this as well, since many of them are abusers/victims and don't realize it.